Facebook is a model of offering incredible, nuanced privacy protections to its users, allowing them to configure exactly how much of their data they want to share and how they want it to be used — Facebook offers these protections, it just doesn’t deliver them. Every Facebook privacy setting seems to be an empty checkbox, not hooked up to anything that alters its data-collection. Aleksandra Korolova took several steps to tell Facebook not to track her location: she turned off Facebook’s access to her Iphone’s location data in the relevant Ios control panel, and cleared and switched off “Location History.” She does not list her city in her Facebook profile and does not post photos. She turned off location access and declined to state a location for Whatsapp, Facebook Messenger, and Instagram. She doesn’t tag her location in Facebook posts and doesn’t check in to locations when she gets there. Korolova cares about this stuff in part because she’s a researcher who published a paper that showed that stalkers can use Facebook’s ad-location services to track people to areas as specific as a single house. Based on Facebook’s marketing materials for advertisers, Korolova thinks they’re deriving her location from her IP address, cell-site data, nearby wifi networks and Bluetooth spotting. 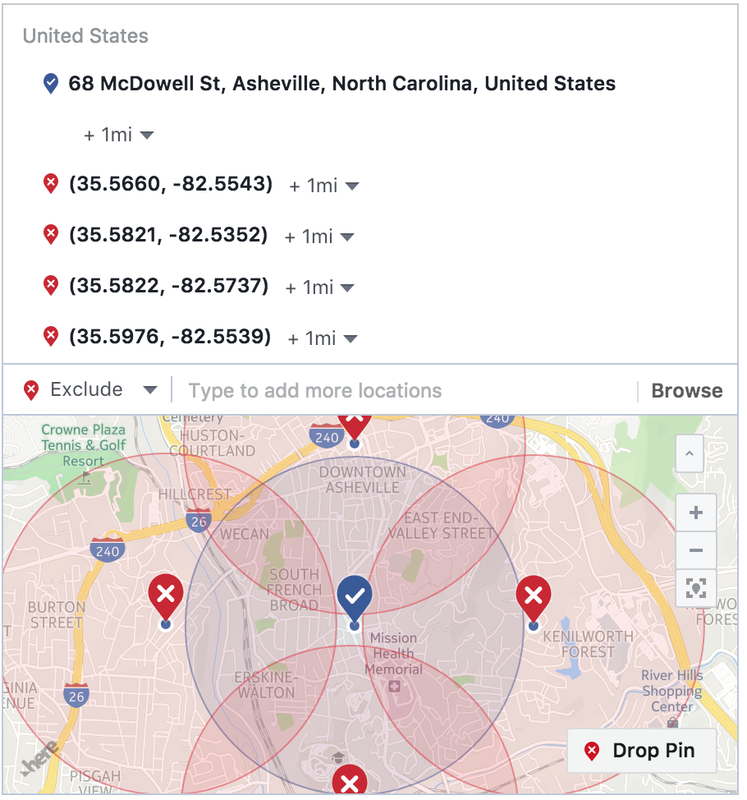 The possible harms of not giving users meaningful controls about their location data are amplified by the tools Facebook provides to advertisers to target people based on their location. As we’ve shown in a recent academic paper published at the Workshop on Technology and Consumer Protection, Facebook provides advertisers with tools to run ad campaigns targeting people “who live in” or “were recently in” a geographic area as small as a single house. This means anyone in the world can create an ad campaign to reach people who have recently visited a particular location, such as a place of worship or an abortion clinic. And since individuals cannot meaningfully stop Facebook from inferring or using their location for advertising, they also cannot avoid such ads. Imagine opening Facebook during a visit to an abortion clinic in order to communicate with friends for support in a difficult decision, and instead, seeing an ad campaign for cute baby clothes created by anyone who wants to target women making this difficult decision.